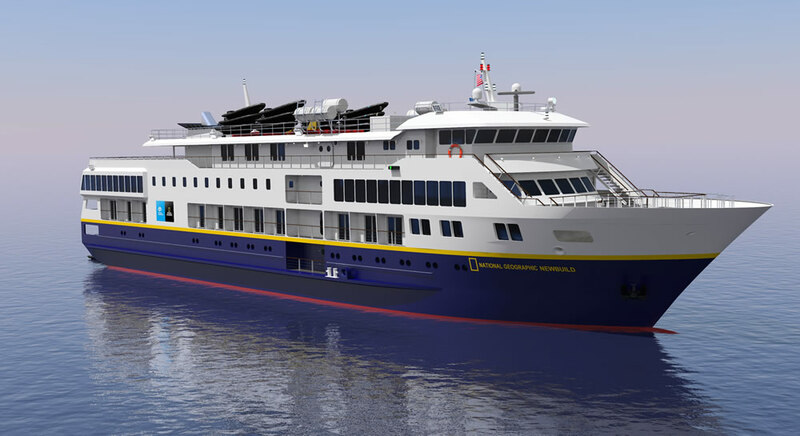 Lindblad Expeditions-National Geographic has signed an agreement with Nichols Brothers Boat Builders for the new build of two U.S. flagged coastal vessels. 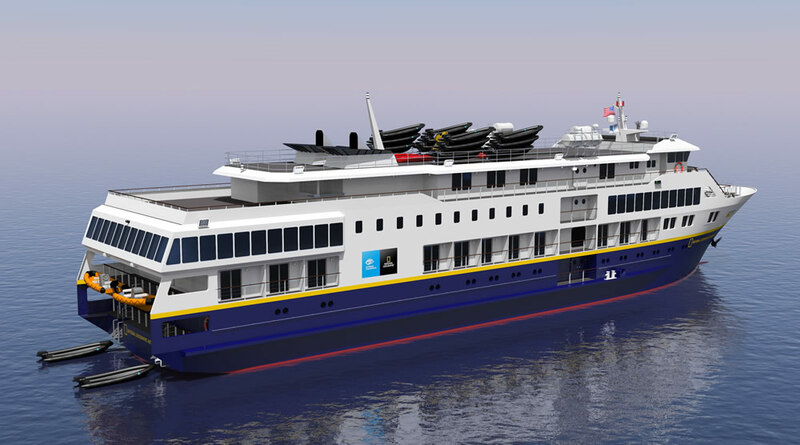 The 100-passenger vessels will be built at the shipyard on Whidbey Island in Washington State with the first to be delivered in the second quarter of 2017. The second vessel will follow a year later. The shipyard previously built National Geographic Sea Lion and National Geographic Sea Bird. Jensen Maritime is serving as the naval architect on the project with interior design work provided by Tillberg Design International. Each vessel will have 50 cabins, and 22 of these will have balconies. Eight cabins can be configured into four adjoining cabins for families. All public spaces will be designed to take advantage of the surrounding natural beauty so will allow for maximum viewing with easy, quick access to decks for spontaneous sightings. An outdoor walkway will wrap around the entire sun deck, which will feature an al fresco bar and grill, in addition to the restaurant and a lounge with bar and facilities for presentations. Each ship will also offer a fitness room and a Wellness spa. The vessels will be equipped with state-of-the-art expedition technology and equipment. Each will boast a fleet of sea kayaks, paddle boards, and specially designed landing craft to get guests out into remote places efficiently. Technology on-board will include a remotely operated vehicle (ROV), video microscope, and a hydrophone and bow-cam designed for immediate bow deployment to hear and film, for instance, humpback whale vocalisations and see bow-riding dolphins. Full warm and cold water diving gear and underwater cameras for the Undersea Specialist will help capture rare imagery of the undersea world. A state-of-the-art A/V system will enable the on-board teams to deliver high quality presentations, including National Geographic photography instruction.